Today marks the first event of the season for Sessions Society, a favorite CMA group dedicated to providing unique experiences for people who love art of all kinds. 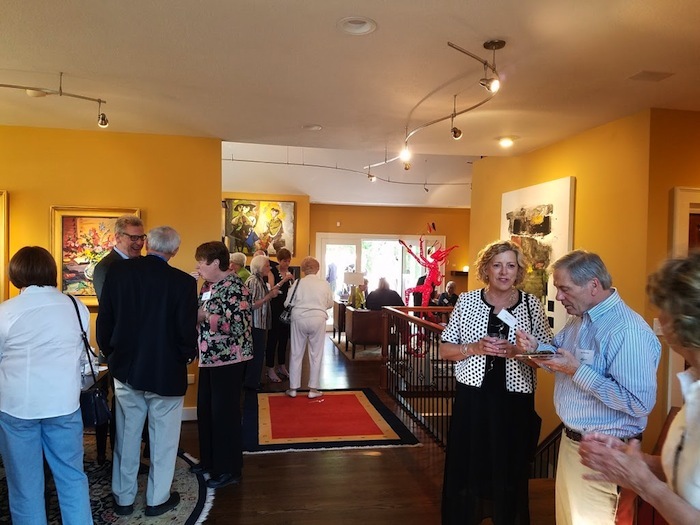 Whether listening to artists share stories about their works in galleries, watching printmakers run plates through a press, or spending an evening in the home of a local collector, Sessions members enjoy encounters with art and interaction with like-minded people over wine, food, and friendly conversation. Session soirées are casual and fun. Pictured here: Jim and Rebbie Ball soirée. This season’s offerings of evening programs—called soirées—include a look at the art of designing and making frames by the founder of nationally acclaimed Hackman Frames, and an exclusive after-hours visit to a special exhibition, Visions from India, at the Pizzuti Collection galleries. In the spring, learn more about a special exhibition coming to CMA, Subversion and Surrealism in the Art of Honoré Sharrer. 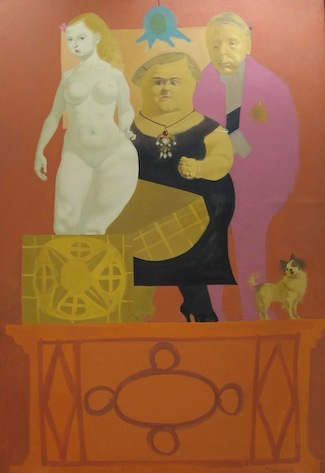 A soirée held in the museum on March 9 will feature a close look at the enigmatic paintings by Sharrer (1920–2009), whose startling and dream-like images made her a controversial figure. 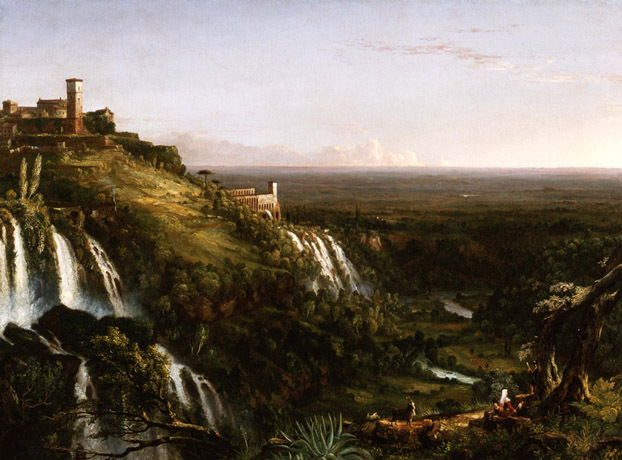 Discover the hidden ambition of landscape master Thomas Cole: to be an architect! His plans influenced the design of the Ohio State House. (Matinée on December 1). 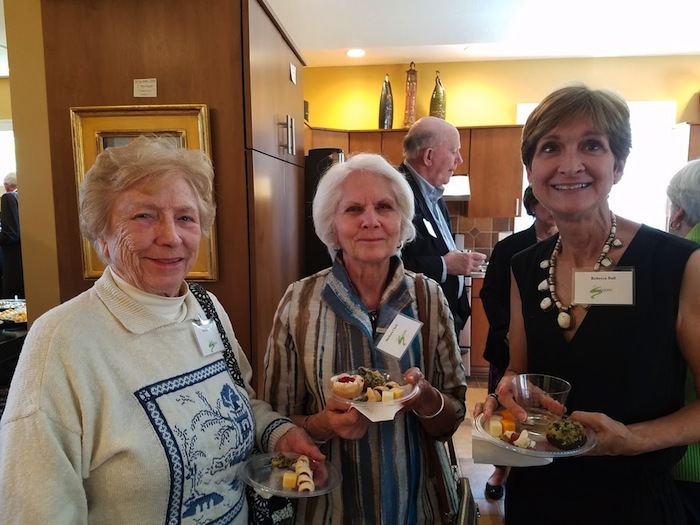 Kicking off this year’s roster of eight monthly programs is a personal tour of the diverse art collection of Karen and Skip Yassenoff, who welcome Sessions members to their home. Sessions soirées are traditionally held in the evening at 6:30 pm, but this year, join the group for a new daytime program—a matinée—on December 1. It’s a holiday lunch at the Scioto Country Club, featuring a talk on the CMA exhibition Thomas Cole: The Artist as Architect. This unique show reveals the role of Cole, America’s first great landscape painter, in the design of the Ohio State House. Any way you look at it, the best way to get up close and personal with art of all kinds, and come face to face with art makers, collectors, and other art lovers, is to join the fun and attend a Sessions event. Once you do, you’ll be hooked. For more information on joining Sessions Society, click here. September 22, 2016: A personal tour at the home of Karen and Skip Yassenoff, showcasing their diverse collection of local and international works. October 6, 2016: “The Collector Next Door,” an entertaining presentation about how to collect art by Patrick Doust and Richard North. November 10, 2016: “The Art of the Frame”, a demonstration and discussion by Craig Hackman, of nationally acclaimed Hackman Frames. December 1, 2016: Special Holiday Luncheon at Scioto Country Club featuring the Thomas Cole exhibition with remarks by State House historian Chris Matheney. Sessions Matinee 11:30 am – 1:30 pm. January 19, 2017: A personal tour of the wide-ranging collection at the home of Michael Reese, an avid collector and art consultant. March 9, 2017: A private tour in the museum of Honoré Sharrer, featuring one of America’s leading female painters of the 20th century. April 27, 2017: Presentation by Deborah Griffing, featuring works by artists with disabilities and their mentors at Goodwill Art Studio and Gallery. May 18, 2017: An after-hours visit to the Pizzuti Collection featuring “Visions from India,” celebration of India, full of color, innovation and delight.